There are a lot of websites that offer to find you all sorts of insurance quotes. 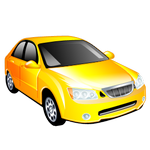 Online auto insurance quotes is big business. How exactly do these car insurance quote websites work anyway? There are two ways to run an insurance quote website. One way is to use a small subset of sample data, or to use data that doesn't update very frequently. This data is used to lure website visitors into filling out forms with their detailed information. The site then tells the visitor that someone will contact them with their personalized auto insurance quote. Sometimes this is by email, but often it is by phone. The second way is to create a large complex website that pulls real-time insurance premium data from multiple car insurance companies. This is an expensive proposition that requires not only a professional technical staff, but high-end network connections, and powerful servers as well. Insurance sales is big business in America. When an insurance salesman sells a policy, they get a commission at the time of the sale. Then, they get a residual commission, or trail commission, every time the policy is renewed. One of the great promises of a career in insurance is that eventually, you could have so many policies paying you ongoing commissions that you could make thousands of dollars a month without lifting a finger. However, most all insurance agents work on commission only, which means if they don't sell, they don't eat. All of this adds up to make insurance leads almost as big a business as insurance itself. Door to door insurance sales are a thing of the past, and the do not call list shuts the door on randomly dialing people out of the phone book. So, once an insurance agent has exhausted his Roledex (and those of everyone he knows), the problem of just where to find new prospects becomes a sticky one. Some insurance companies, or even the insurance agents themselves, buy, "lead lists." Leads are the names and contact information of people who may (or	may	not)	be	interested in buying insurance. Leads come in many shapes and sizes, ranging from demographic based leads, such as all the six-figure income households in a certain zip code with children, to those that are people who have actually expressed an interest in a product. The downside of leads is that often, the people who gave their contact information (or who had it harvested from somewhere else) don't want anyone calling them to sell them insurance or anything else. However, this isn't actually a deterrent to the agent or the lead company. The only difference between someone who actually is interested in being contacted by someone and someone who isn't is the price of the lead. "Hot leads" cost more than "warm leads." (No one admits to selling "cold leads.") Leads with working phone numbers cost more than leads with email which cost more than leads with just addresses. People who fill out a form requesting an auto insurance quote are hot leads. People who check the box that says something like, "Please have someone contact me," are even better, and their information costs even more. Some online insurance comparison websites double dip. They not only sell the leads, but they get a cut of the commission if the prospect actually buys any insurance. None of this is bad, per se, except that there are a couple of shifty tricks involved. First, warm leads are often former hot leads. That means that after a few weeks or a few months, that lead (a person's contact information) is sold again as a warm lead, which means that after the first round of people stop calling, a second round will start calling again. Second, while insurance premium quote websites are always careful to disclose exactly what they are doing somewhere on the site, it usually isn't very clear to the users of the website what will be happening to all that information they typed in. If you did a survey, the vast majority would be very surprised to know that they signed up to have insurance agents contact them. Next Page --> Are Online Insurance Shopping Sites Worth It?